On April 9th, 2018, the French state began evicting the liberated territory known as la zad, an experimental commune across 4,000 acres of wetlands, fields, and forests. The land is occupied for nearly a decade by local farmers, villagers, activists, naturalists, squatters, and more. Thousands of officers accompanied by armored vehicles have flooded the zone, and demolished dozens of homes. It is only thanks to the brave resistance of the zadists that the entire territory has not been destroyed. 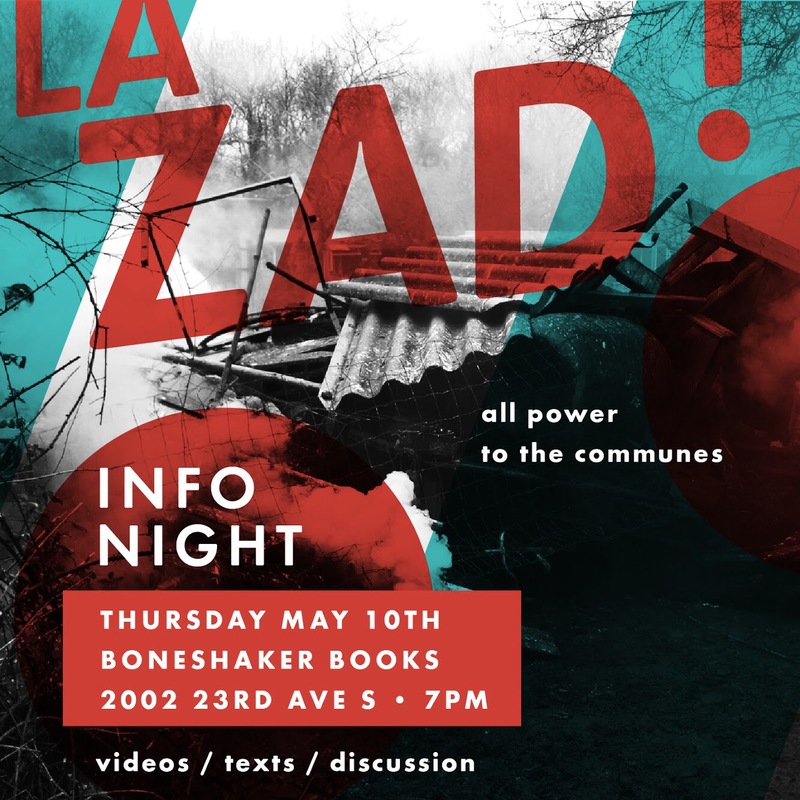 Come learn more about la zad and the struggle to defend it. Thursday, May 10th, Boneshaker Books, 2002 23rd Ave S, Minneapolis, USA, 7:00pm.